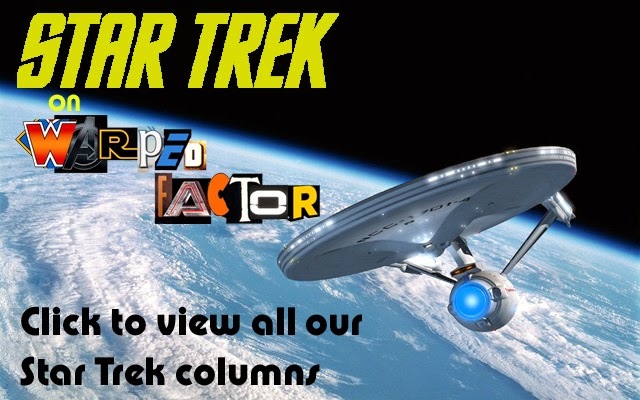 STAR TREK: THE CAGE.....50 Years On | Warped Factor - Words in the Key of Geek. Although the broadcast anniversary of Star Trek will take place in 2016, this week marks 50 years since filming began for the first pilot episode. To mark the event James Morrell looks at what happened to the principal cast of The Cage. It all started 50 years ago in early May 1964, Herbert. 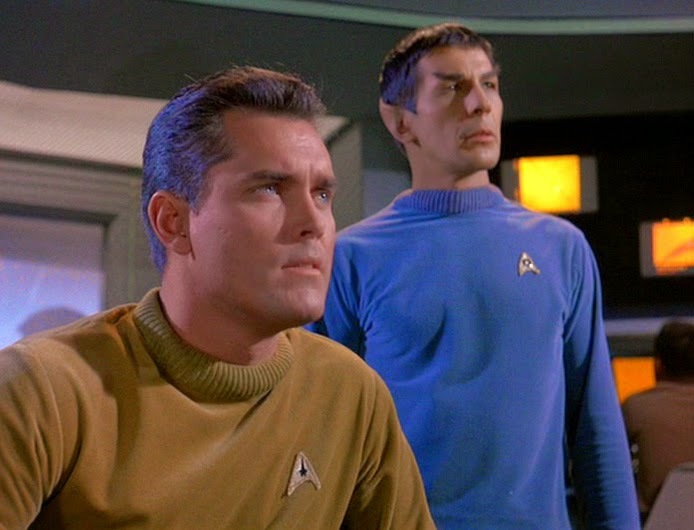 F. Solow and Gene Roddenberry pitched an idea to NBC about a star-ship that would seek out new life and new civilization. 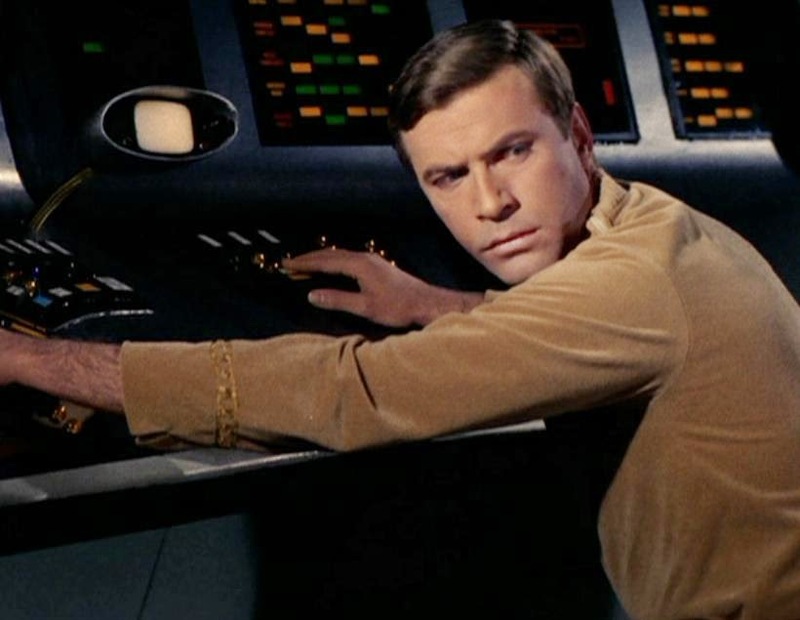 Jerry Stanley, NBC Program Development Vice President, asked to hear more about their idea for the series pilot, Roddenberry explained the storyline but both Stanley, and NBC executive Grant Tinker, were not convinced it would work as a series. 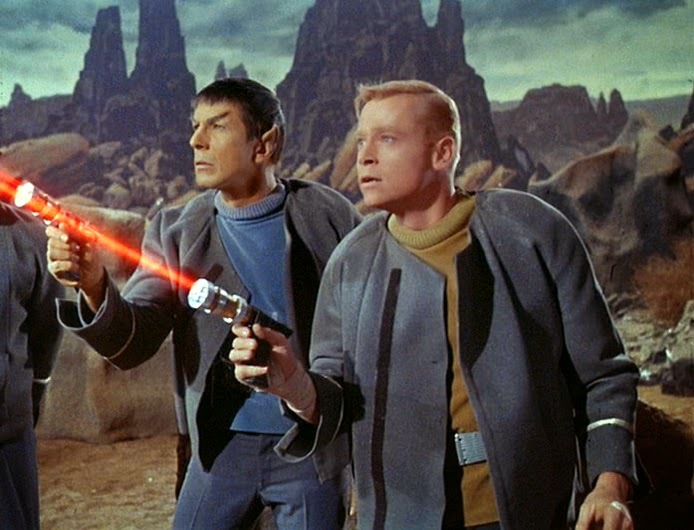 After many storyline changes Roddenberry began writing the screenplay. 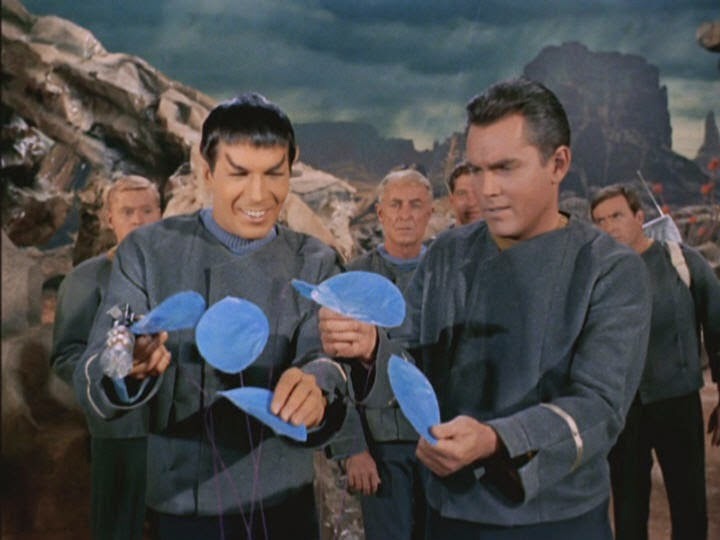 Several re-writes later he had his pilot and the principal cast had been assembled, which included Hollywood star Jeffrey Hunter as Captain Christopher Pike, Majel Barrett as the First Officer, Leonard Nimoy as Science Officer Spock, Peter Duryea as Helmsman Jose Tyler, Laurel Goodwin as the Yeoman, John Hoyt as Doctor Philip Boyce, Adam Roarke as Communications Officer Garrison and Susan Oliver as Vina. 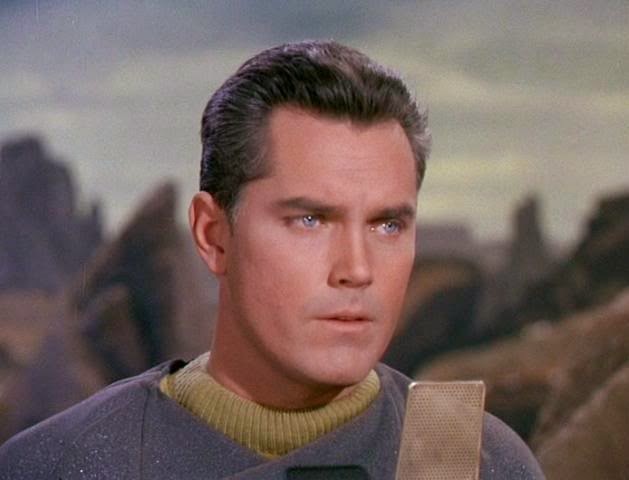 Jeffrey Hunter (Born 1926 – Died 1969) – Jeffrey Hunter made a more few Hollywood movies after filming The Cage, but none of them were major successes. Tragically he died on the 27th May 1969 after falling down the stairs and fracturing his skull. He was only 43. Majel Barrett (Born 1932 – Died 2008) – Majel Barrett (aka Mrs Gene Roddenberry) went on to play Nurse Christine Chapel in The Original Series of Star Trek from 1966 to 1969. She also provided the computer voice in all the future Star Trek TV shows, and played the mother of Star Trek: The Next Generation's Deanna Troi. 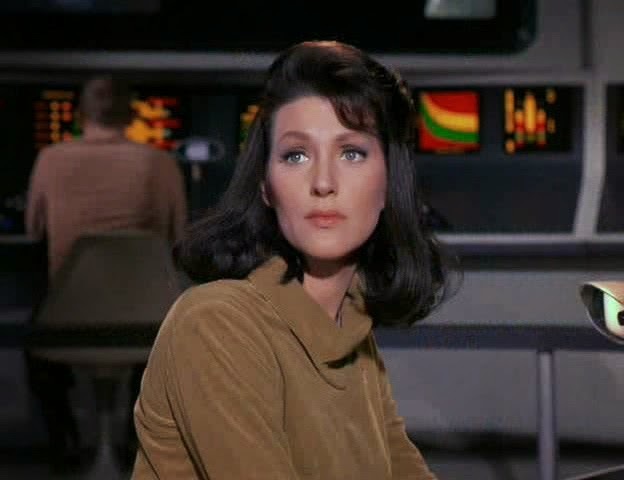 Majel Barrett died on 18th December 2008 aged 76 after a long battle with Cancer. Leonard Nimoy (Born 1931) – Leonard Nimoy became First Officer Spock in Star Trek and the first six movies. After Star Trek was cancelled in 1969 he replaced Martin Landau in the hit spy series Mission Impossible, he left after two seasons in 1971 and has gone on to a long and varied career both in front of and behind the camera. 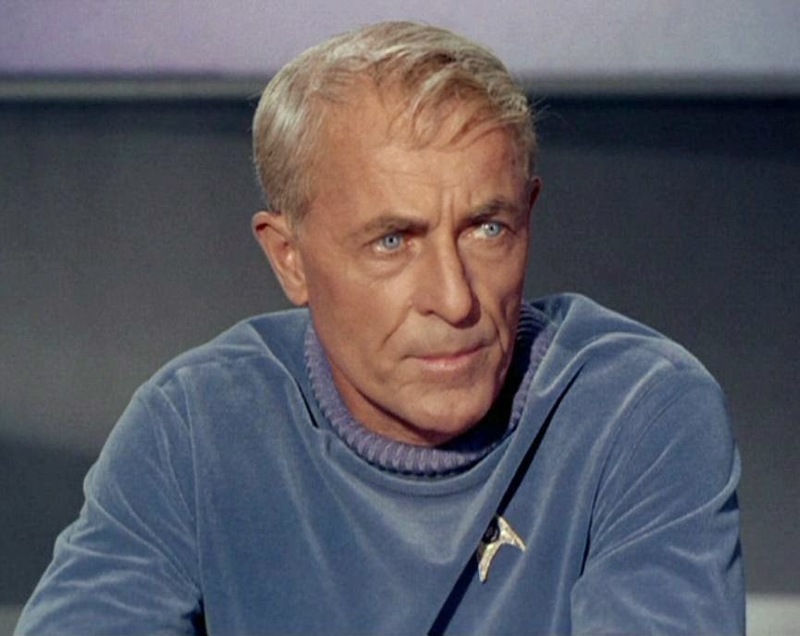 John Hoyt (Born 1905 - Died 1991) – After The Cage, John Hoyt continued to make regular guest appearances on many television shows including The Virginian, Hogan's Heroes and Battlestar Galactica. His most famous on screen role came as Grandpa Stanley Kanisky in Gimme A Break! Which he starred in until his retirement from acting in 1987. He died on September 15th 1991 aged 86. Peter Duryea (Born 1939 - Died 2013) – Peter Duryea picked up some occasional guest appearances in the decade after The Cage. He played three different roles in Dragnet during the late 60s, before eventually giving up acting. Duryea was also the head of a non-profit society called Guiding Hands Recreation Society which hosted a peaceful getaway called the Tipi Camp in the West Kootenay area of British Columbia, Canada. He died on March 24th 2013 aged 74. Adam Roarke (Born 1937 - Died 1996) – Adam Roarke became a movie actor in a string of biker pictures in the late 1960s and early 1970s including the 1967 film Hells Angels on Wheels with Jack Nicholson. His other roles include the cult 1974 car chase film Dirty Mary, Crazy Larry which showed off his acting range and his 'big break' in the 1980 Academy Award nominated film The Stunt Man with Peter O'Toole. He continued to make movie and TV appearances throughout the 1980s and early 1990s. He died in 1996 of a heart attack aged 59. 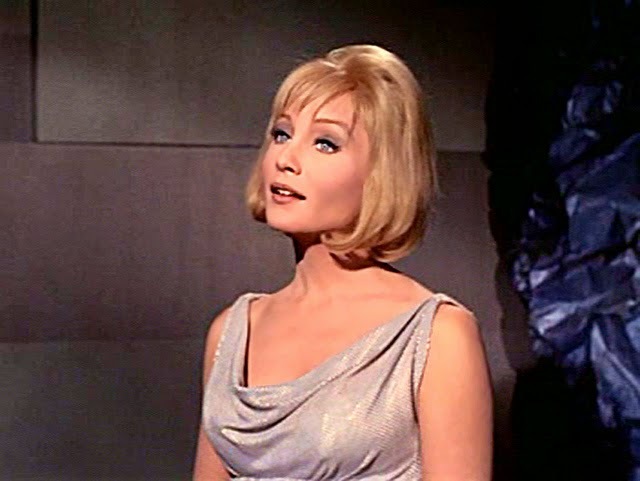 Susan Oliver (Born 1932 - Died 1990) – Susan Oliver continued to make regular television appearances up until 1988, including 48 episodes of Peyton Place in 1966, and a stint as a regular cast member in the American soap opera Days of our Lives between 1975 to 1976. She died in 1990 from cancer, aged 58. Laurel Goodwin (Born 1942) – Laurel Goodwin will always be remembered for two roles - her appearance in The Cage, and as the love interest of Elvis Presley in the 1962 film Girls! Girls! Girls!. She made a few more television appearances until she retired from acting and pursued a career in home nursing. Now 72 she lives in Palm Springs with her husband. Along with Leonard Nimoy, they are the only principal cast members from The Cage who are still alive.